As an update to Matt Shilcock’s JUMP mentoring project O s t e o g e n u i n e, the article below was published in Ausdance South Australia’s aDm magazine for dance in July 2013. Introducing Matthew Shilcock – on the rise to extra-ordinary success. 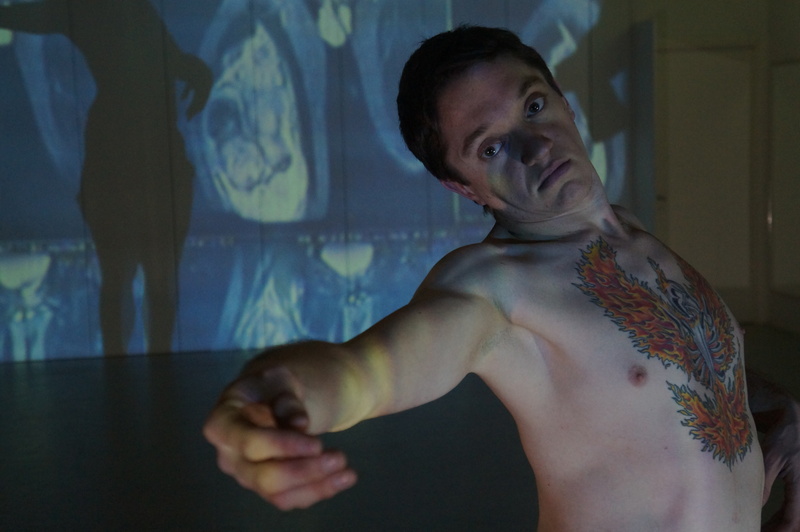 Matthew Shilcock is arguably one of the most interesting emerging dance artists to spring out of nowhere in South Australia. He was born with Osteogenesis Imperfecta, (commonly known as ‘brittle bone disease’) and spent the first 14 years of his life using a wheelchair. In and out of hospital for most of this period he claims to have broken more bones than Jackie Chan. With every break, his body undergoes a very different process of healing and adapting to suit his environment. Despite this painful and isolating background he is fast-tracking into an exciting dance career that has seen him already work with many established artists in SA, NSW and in London through the Candoco International Artist Lab (2011). O s t e o g e n u i n e. One of 40 selected emerging artists from across the country, Matthew is mid-way through this national mentoring program which has afforded him the opportunity to work closely with new collaborators such as Tyson Hopprich (aka DJ TR!P), Tim Standing (Daylight Breaks), Sam Oster (Silvertrace) and myself. Adaptation – natural changes, in response to environment & circumstance. With the support of the JUMP mentoring program Matthew is on a forward trajectory to success. I’m sure his investigation of his unique physical background and the new relationships he’s forming through O s t e o g e n u i n e will equip him with the necessary skills that will bare weight to his career and determine the difference between success and mediocrity. “JUMP has given me the chance to work closely with my mentor to learn things I know nothing about. Without JUMP, there would be no way I could begin Osteogenuine,” said Matthew. It isn’t any wonder that his phoenix tattooed across his chest marks an extraordinary life-affirming turning point from which he has risen himself. Matthew is an extra-ordinary dancer to watch out for. Click on the link below for an interview with Matthew.